LOUISVILLE, Colo., July 6, 2016 – Inovonics, the industry leader in high-performance wireless sensor networks, announced today that July 2016 marks the 30th anniversary of the company’s founding. In 1985, the FCC passed regulations allowing the civil use of radio bands previously reserved for industrial, scientific and medical use. One year later, Don Hume and Steve Koonce, two local technology entrepreneurs, founded Inovonics in Boulder, Colorado to take advantage of the newly-available military-grade frequency-hopping, spread spectrum RF technology. Now on its third generation of wireless technology, Inovonics has established itself as a leader in the commercial wireless industry. In the 30 years since its founding, Inovonics has pioneered the use of wireless in a number of markets, including intrusion detection in commercial security, utility submetering in multi-family housing, mobile duress in both security and senior living, and a host of serial and IP-enabled interfaces that facilitate the integration of Inovonics devices into a wide variety of application specific hardware and software solutions. 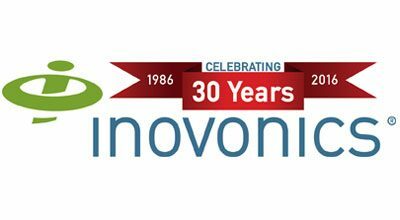 Inovonics employees will celebrate their 30-year anniversary by hosting an open house for invited guests and local community leaders August 19th. For more information, to request images and/or to inquire about interview availability, please contact Nikki Williams by email at nwilliams@inovonics.com or by phone at 303-209-7219.